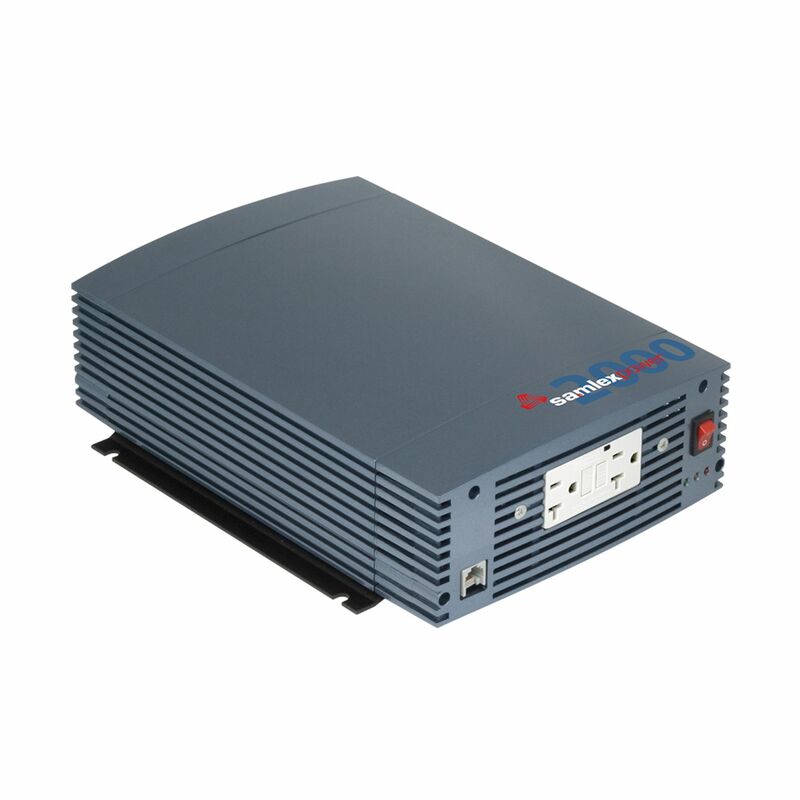 2,000 watt, 200 amp 12 VDC - 115 VAC compact prure sine wave inverter provides ideal power for sensitive loads. Features soft start and cool surface technology, 2 GFCI protected outlets, thermal protection, battery low & high overload, short circuit & ground fault. Surge 4,000 watts, 2 speed cooling fan. Comes with LCD remote control with 10' power wire. Dimensions: 12.2"x8.74"x3.46", weight 8.4 lb.